Plain, small flycatcher with a distinct call. Common in the East in warmer months in any wooded area. 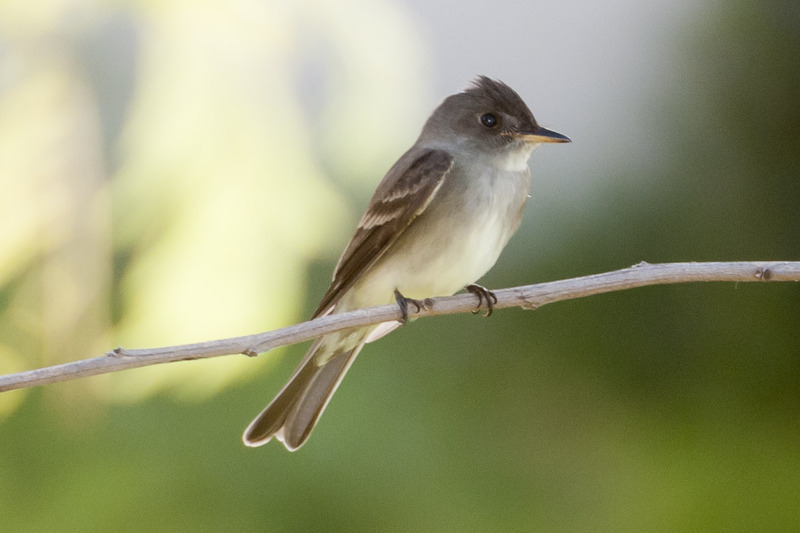 Small, crested, with long wings and tail, grayer than other flycatchers, with no eyering. The bird names itself with its distinctive “pee-a-wee” call. Sits upright, often perched high and conspicuously, from where it flies out to catch insects. May also eat small amounts of berries and seeds. Solitary outside of the breeding season. Woven nest covered in lichen and very inconspicuous, usually high in a tree. Lifespan up to 8 years. Population ~ 5.5 million and declining.